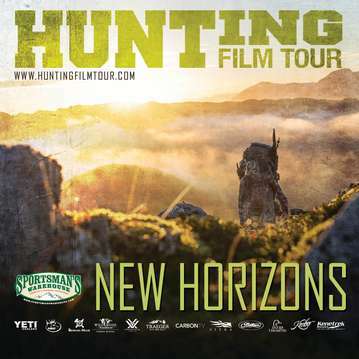 Join us for the Hunting Film Tour Premier with National Wild Turkey Federation in Cody WY! The show will be on August 26th, 2017 at the Cody Theater. Come out and enjoy our two hour conservation minded, fair chase hunting film filled with awesome stories and breathtaking cinematography! Tickets are $15 in advance - available at Rocky Mountain Discount Sports (1526 Rumsey Ave # 1, Cody, WY 82414) and Geers Taxidermy (8 Road 3FX, Cody WY), contact Greg Mayton (515) 975-3051 with any questions. Rush tickets are $20 at the door day of the event. Doors will open at 6:00pm, the film will begin promptly at 7:00pm. Be sure to come out early to catch up with your hunting buddies and make some new ones!